As the Mendocino Complex Fire grows to more than 110,000 acres, the frustration and worry are not easing up for Lake County residents. For those who have lost their homes, it’s just the start of a long, rough road ahead. Emily Scheidemann watched her hilltop home get gobbled up by flames on NBC Bay Area’s Facebook live. She said she never expected her house would end up in the fire’s path. "To see your video was kind of like this is happening we’re one of these people now who’ve lost their homes," Scheidemann said. "It was just a wall of flames that went up and there was nothing anybody could have done to save any of the homes that were lost." The beautiful house with its trademark palm trees and spectacular views couldn’t withstand the fury of the River Fire, whose flames went roaring over it Tuesday night. "I’m just kind of in shock, grieving for us, grieving for our community, grieving for our friends," Scheidemann said. 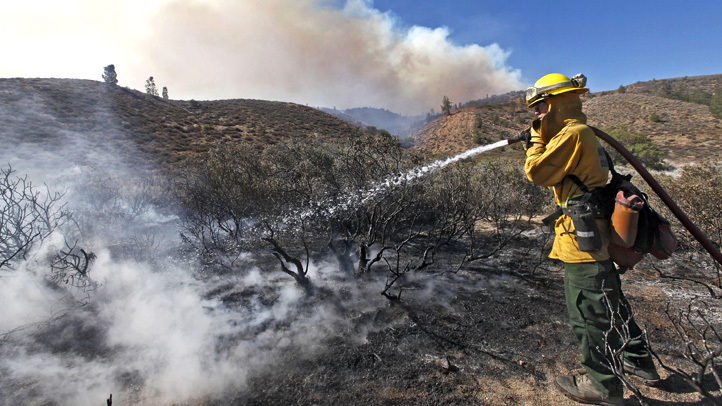 "I worry about the people on the front lines fighting it, I just want the fire to stop." At least 14 houses have been lost in the Mendocino Complex Fires and more than 12,000 more remain threatened. The fires’ intensity is not easing up and neither are the fears of a community pushed out by the flames. "I’ve just been sitting here staring off in space just like it’s not real. I just want to go home," Scheidemann said. 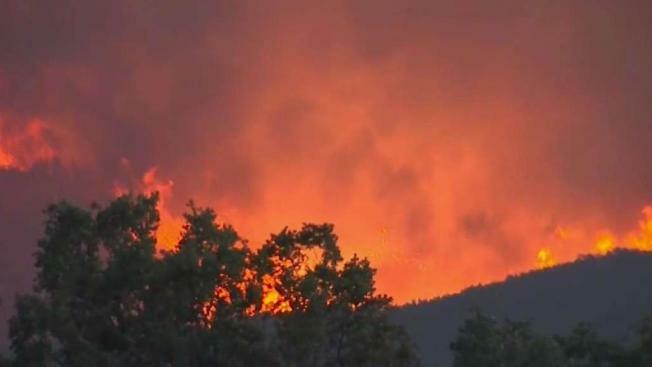 NEW EVACUATION ORDER (ISSUED 8:30 P.M. THURSDAY): Bartlett Springs Road at Hwy 20, east along the National Forest boundary to High Valley Road, southeast to the 5 Star Fish Farm, southeast to the north side of Hwy 20, east to New Long Valley Road, extending north to the west side of the Indian Valley Reservoir, north to Bartlett Springs Road, east to the Lake-Colusa County Line, north along the Lake-Colusa County Line extending to Forest Service Road 18N40 (west of the Lake-Colusa-Tehama County Line), and west to the western National Forest boundary in Lake County.